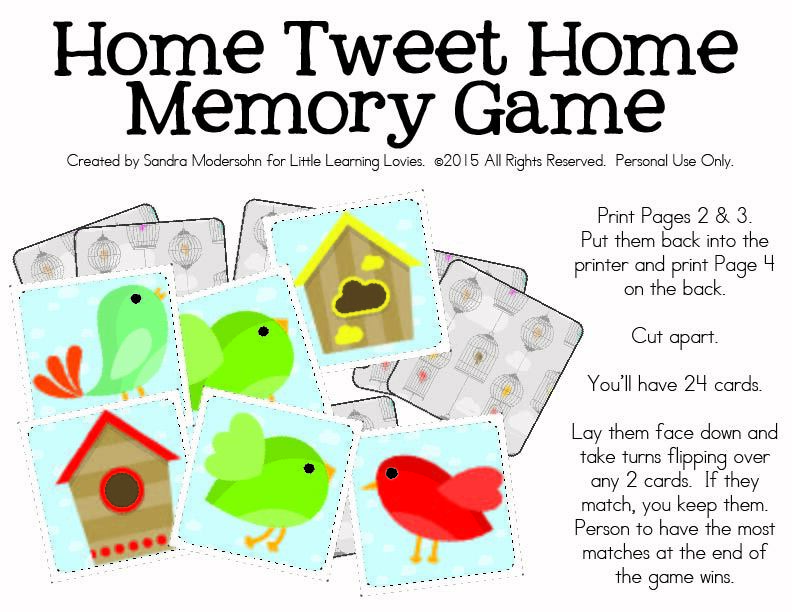 There’s no place like home and this bird themed printable memory game celebrates the fun of watching birds in spring as they build their homes and families. Every spring, the kids and I watch closely to see where the neighborhood birds are building their nests. And every year we are delightfully surprised by some of the unique and creative places birds are willing to nest. This year, we have a family that made their home in our attic! We have an outdoor access panel that began to hang down a bit from the strong spring winds, and before we could get up there to close it back up, they had claimed it for their own. I don’t blame them. No predator can get to them there! I have a lovely printable memory game for you to play! It’s totally free for subscribers (if you’re not on the list, we’ll add you in… and you’ll get even MORE goodies!) and it only requires two sheets of card stock! 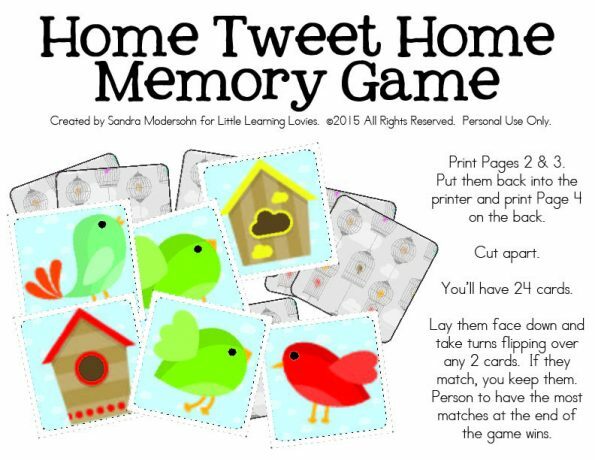 Ready to download the Home Tweet Home Printable Memory Game?